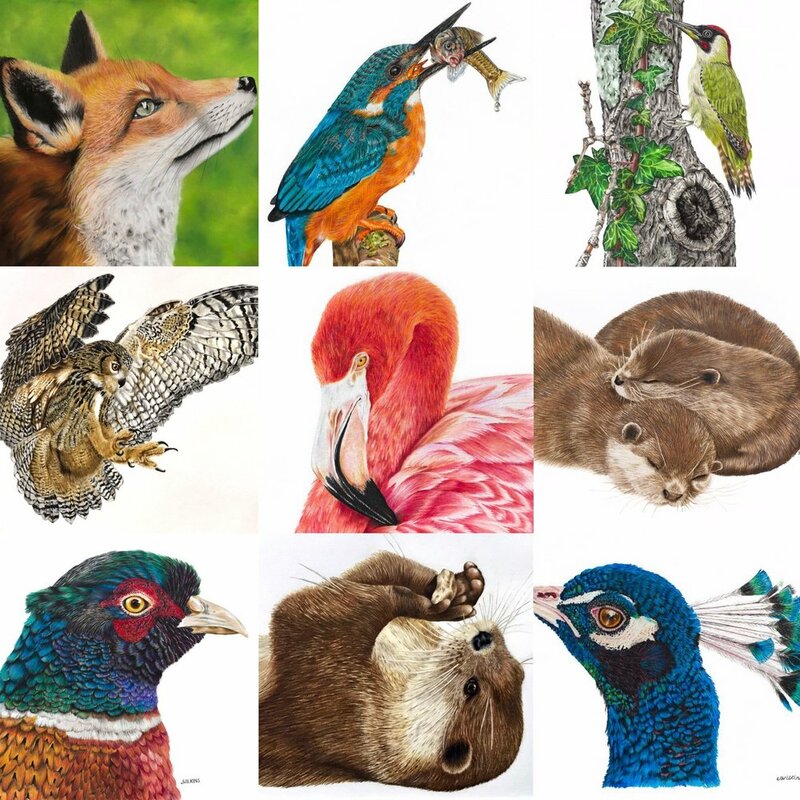 I love wildlife, nature and photography and have combined my love of drawing to create detailed, realistic coloured pencil and pastel pencil artwork. I am a realist artist, studying my subject in detail, creating a lifelike drawing portraying character and mood. Coloured pencil art is one of the slower art mediums, it takes many hours to create a finished piece. (My eagle owl drawing took 30 hours to draw.) If it looks like I have drawn in every hair, or feather, then literally I have done just that! It is a very precise medium, lots of layering of colour and sharp pencil points! I hope you enjoy looking through my gallery/shop and my collection of wildlife friends depicted in coloured pencil and pastel pencil.